JOAN COLLINS, TD for Dublin South Central revealed on RTE’s The Week in Politics on Sunday night that one of her constituents had been sleeping in her constituency office as she can no longer afford to pay her rent and had no where to go. Updating TheJournal.ie on the woman’s housing situation, Collins said that after the show on Sunday, an appeal was made on Facebook and a woman from Tallaght got in touch to say that she had a room for rent for the woman. The woman who was forced to sleep in Collins’ office had lost her job, was in receipt of Jobseekers Allowance and was previously renting from a private landlord. 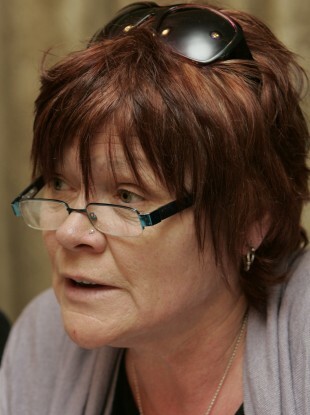 Her situation forced her to go to the homeless section of the council to seek emergency accommodation, but to no avail. “It is in no way ideal, as it is not a long term solution, but it was really a desperate attempt to get her somewhere to stay,” said Collins. “There shouldn’t have to be an appeal made on social media to help a young woman find a place to stay,” said Collins, adding however, “at least she has a roof over her head for the moment”. She said that something needs to be done about the government’s social housing plan, stating that the under supply of housing stock and the over reliance on the private sector is having devastating consequences for families. “Every day of the week I have people calling me or dropping into the office in terrible situations – young families and young women with children. Rents have gone so high that they are impossible to reach for some people. They only get so much, and often people are forced to pay the difference to the landlord, something that is not actually allowed,” she said. She added that those that can not make their rent are forced to rely on their families, if they can. “I know of many young people, with families, forced to stay on their granny’s couch, or rely on other members of their family to put them up,” she said. Collins said that the over reliance on the private housing sector to provide social housing is not working, stating that the Housing and Planning Minister Jan O’Sullivan’s initiatives to build more houses, is just dealing with the “tip of the ice berg” when it comes to the social housing crisis in Ireland. “Another issue renters come up against when trying to rent private apartments is restrictions imposed by landlords, who state on their advertisement that no rent allowance is taken and they need not apply – it’s like apartheid of some form – telling them they are not eligible to even apply,” she said. She added that other ways around this for landlords is they ask for “proof of employment” which she said is another way of not allowing someone who is unemployed to apply for an apartment or room. Email “Woman sleeping in TD’s office accommodated after a Facebook appeal”. Feedback on “Woman sleeping in TD’s office accommodated after a Facebook appeal”.